Twisting Fish Yoga Studio is run by highly experienced Yoga Teachers that have been teaching yoga for a minimum of 10 years and up to 45 years of experience. Every teacher is passionate about sharing their years of experience in a safe manner, to help to develop the yoga practise of students. We use traditional yoga techniques that enable students to heighten their quality of day to day life. Through the cultivation of the techniques of yoga the realisation awakens that a beautiful, joyful,peaceful life is not governed by our external circumstances but more to do with your own personal inner state. Once we learn the tools to connect us internally, to make our inner world a peaceful place then the external world will reflect the harmony of our inner balance. With a 5000 year history, Yoga is unique from traditional forms of exercise because it provides a holistic antidote to the physical and emotional pressures of everyday life. Yoga combines Mind (calm mental clarity / emotional focus), Energy (cultivation of life force through breathing practices) and Body (movement and postures). These practices develop a sense of strength of body, clarity of mind and inner purification and well being. 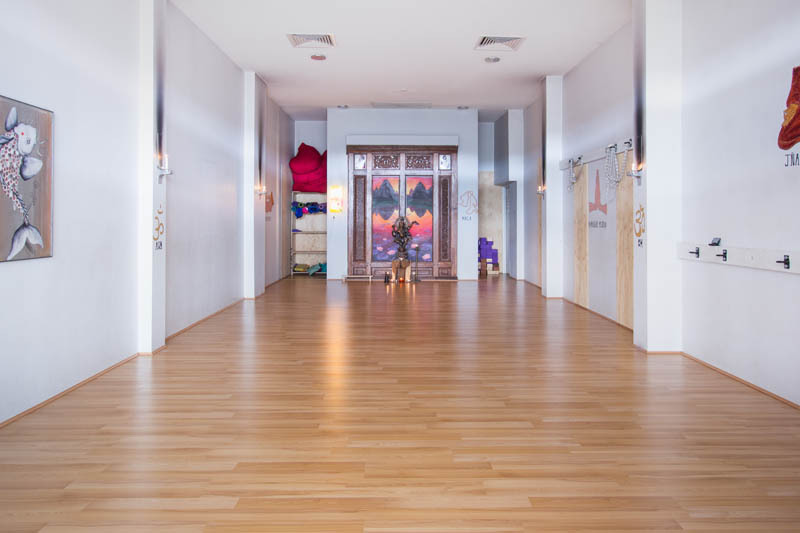 Twisting Fish's studio is ideal for those new to yoga wishing to develop a practice as well as experienced participants looking to deepen their understanding. Click here to find out more about our teachers, classes, and fees. See Below For Latest Time Table 2019 & Public Holiday March 2nd - 4th!! Upcoming courses for March 2019 - Beginner Courses/ Kriya Yoga Course/Beautiful State Course/ Vedic chanting / Bali Retreats for 2019 ! !